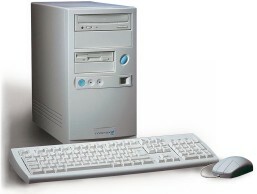 A second hand cream tower cased Classic Iyonix PC with a standard disc image. Also includes AemulorPro. We can supply a copy of the Iyonix Welcome Guide at a special price of £5 if required. Special Offer Price: £599.00 no VAT to pay!